The popular and affordable reverse 4-bedrooms and 3 full baths Greystone plan offers everything you need with a 3-car garage, granite in the kitchen, and cultured marble in the remaining baths. Hardwoods in the kitchen and great room. Whole home humidifier and an amazing community pool! Sheetrock 01/10/2019 Time to still pick your colors! Ask about our Home Town Hero allowance for active and prior military service, police, fire, EMS, medical field, and school district empolyees. I-35 to Old 56 Hwy. WEST approximately 3 miles and turn RT onto 151st St. Go approximately 1/2 mile and turn RT onto S. Red Bird St and into Oak Run. 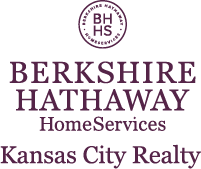 I am interested in 25143 W 148th Terrace, Olathe, KS 66061.